Seven months have passed since a deadly virus hit New York City and the rest of the world, crippling the population. When the virus hit, The Division, a unit of civilian sleeper agents, were activated as the last line of defence. Since then, Division agents have been fighting relentlessly to save what remains. For The Division, the stakes are higher than ever. Washington, D.C. - the most heavily protected city on earth - is at risk, leaving the entire nation on the brink of collapse. If Washington, D.C., is lost, then the nation falls. As a Division agent who has been in the field for seven months, you and your team are the last hope to stop the fall of society after the pandemic collapse. 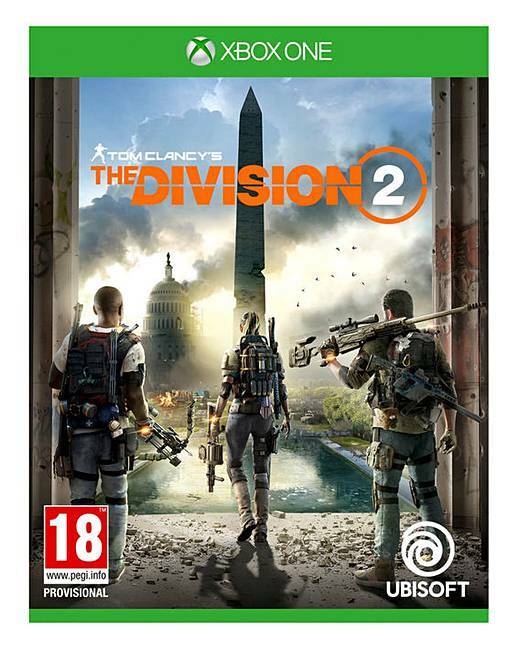 Developed by Ubisoft Massive and the same teams that brought you Tom Clancy's The Division, Tom Clancy's The Division 2 is an online open world, action shooter RPG experience set in a collapsing and fractured Washington, D.C. This rich new setting combines a wide variety of beautiful, iconic, and realistic environments where the player will experience the series trademark for authenticity in world building, rich RPG systems, and fast-paced action like never before.